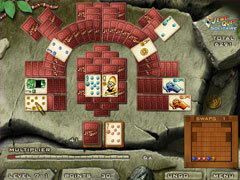 A Jewel Quest ® Solitaire adventure! 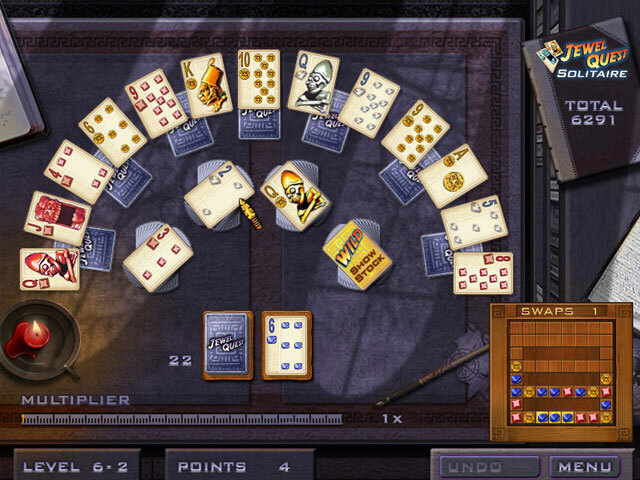 Play Tri-peaks Solitaire in a new way using jewel-themed card decks. Match card suits to earn pieces for the jewel board then turn the board's spaces to gold. 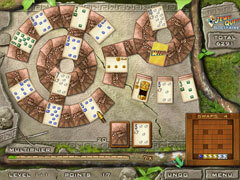 Unearth buried cards, avoid cursed jewels, and solve the 114 card layouts on a South American jungle trek. Experience 684 possible card scenarios through an exciting new Jewel Quest story. Embark on your card playing adventure in Jewel Quest Solitaire. Riches and glory are in the cards!